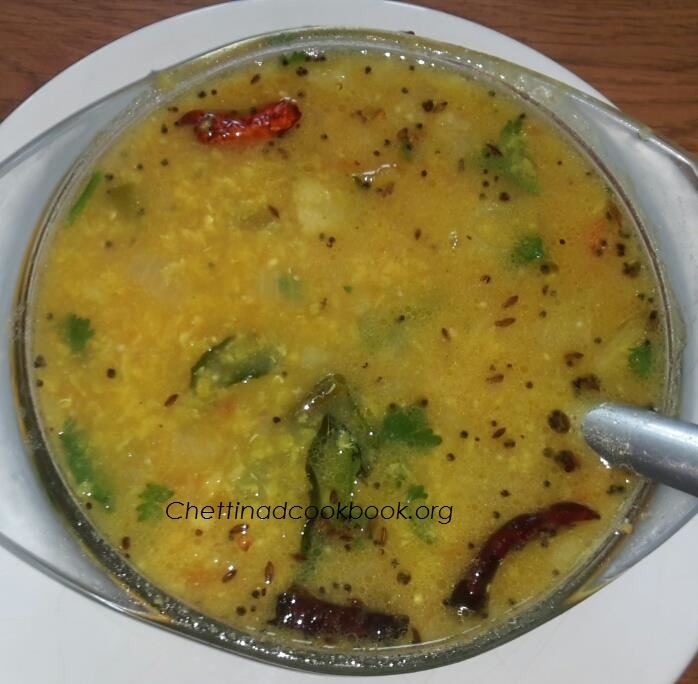 Kathirikkai Pachadi origin chettinad,it is served as alternate for sambar,Prepared with moong dal and brinjal,mild and tasty with Idly and Dosa. In spite of preparing Sambar repeatedly this Pachadi is preferred as substitute savour with most of the tiff-en items. Very little Tamarind is Used in Pachadi comparatively with sambar instead of Hing here,Criander, and Cumin is used to make it more aromatic. 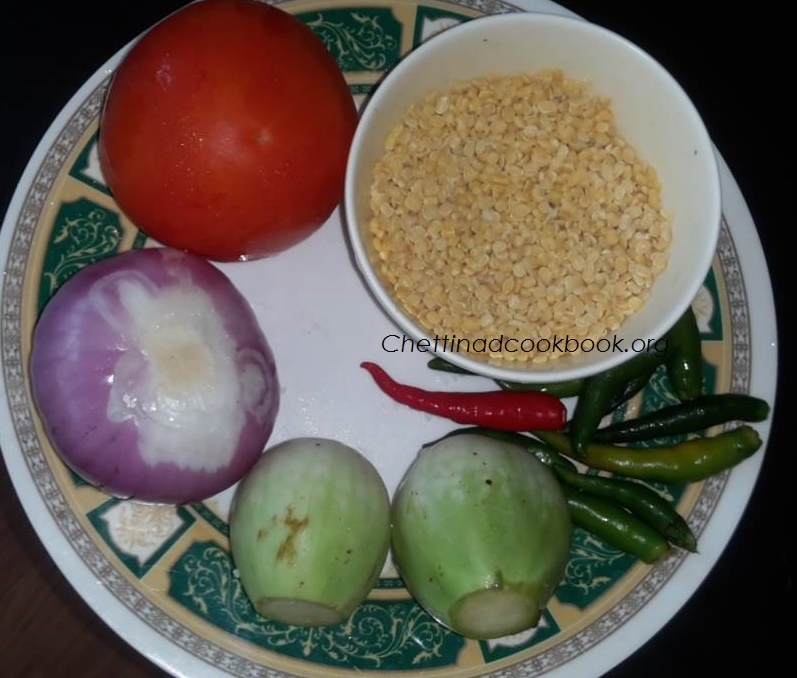 Clean and cut Onion, green chillies and Tomato,soak moong dal for 10 minutes before cooking. Pressure cook soaked moong dal along with chopped Onion,Turmeric powder, green chillies,Tomato and Brinjal,for 1 whistle. When pressure released,add Salt and Tamarind extract allow it to boil for a while. Season it with above mentioned Ingredients,add curry leaves and add to the boiling Pachadi. Sprinkle chopped Coriander and serve.